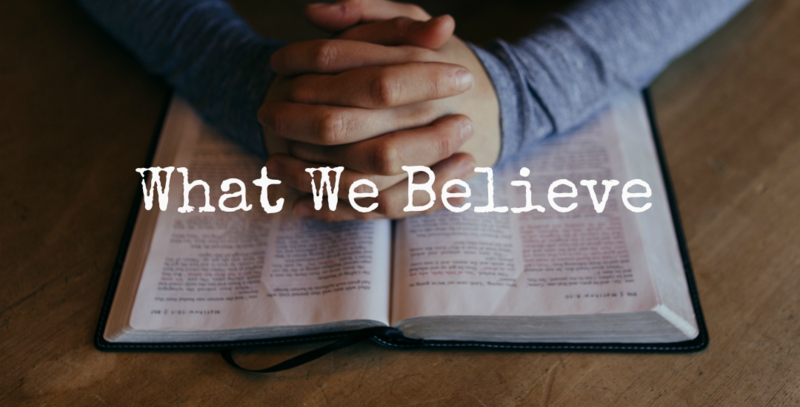 Our beliefs are firmly rooted in God's Word and represent the foundational beliefs of Christianity. We believe in the tri-unity (Trinity) of God and that God exists in three persons - God the Father, Jesus the Son and God the Holy Spirit. We believe God is the creator of all things and he is totally loving and perfectly holy. We believe in the tri-unity (Trinity) of God and that God exists in three persons - God the Father, Jesus the Son and God the Holy Spirit. and He gave life and shed His blood to redeem and restore man back to God. We believe that in order to receive Salvation and the 'new birth,' we must repent of our sins, believe in the Lord Jesus Christ, and call on his name. and the Holy Spirit, and with the authority in the name of Jesus. We believe in the regular taking of communion as an act of remembering what Jesus did for us on the Cross. We believe in the baptism of the Holy Spirit and it is a gift from God as promised by Jesus to all believers. The baptism of the Holy Spirit is accompanied with the evidence of speaking in other tongues. The power of the Holy Spirit gives us the ability to live the holy and fruitful lives that God intends for us. We believe in healing for physical illness of the body, which is received by the power of God through the prayer of faith and by the laying on of hands. We believe our faith grows by hearing and hearing the Word of God. We are saved by faith, justified by faith, live by faith, overcome by faith and our faith pleases God. for fellowship, prayer and the 'breaking of bread'. We believe that God has individually equipped us so that we can successfully achieve His purpose for our lives, which is to worship God, fulfill our role in the Church and serve the community in which we live. We believe in the Biblical view of marriage as between one man and one woman. We believe that God wants us to prosper in every area of our lives and that our tithe, the first 10% of our income, belongs to Him. Our giving establishes an avenue through which He can abundantly bless our lives. We believe Jesus is the Head of the Church and has delegated His authority to His body to carry out the Great Commission and to live a holy life.